This title offers a compelling new theory of the psychological roots of the Scientific Revolution. The standard account of the rise of Western science recently has come under fire by historians who claim that there was nothing revolutionary about the Copernican Revolution and that science did not suddenly become modern in its aftermath. How, then, explain the fact that, after 14 centuries of barely noticeable scientific progress, virtually all of the major discoveries that formed the foundation of modern science were made within a few years of 1600? 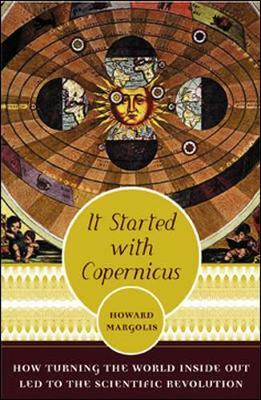 In "It Started with Copernicus", social theorist Howard Margolis answers with a controversial new theory of the psychological roots of the Scientific Revolution. Margolis points out that Copernicus's great discovery was not that the Earth revolved around the sun - since Aristarchus had proposed it 1,800 years earlier - but that entertaining such a seemingly unlikely idea would solve other problems. Thus, he provided a model for Kepler, Galileo, Steven, Gilbert, and others who would go on to lay the foundations of modern science.